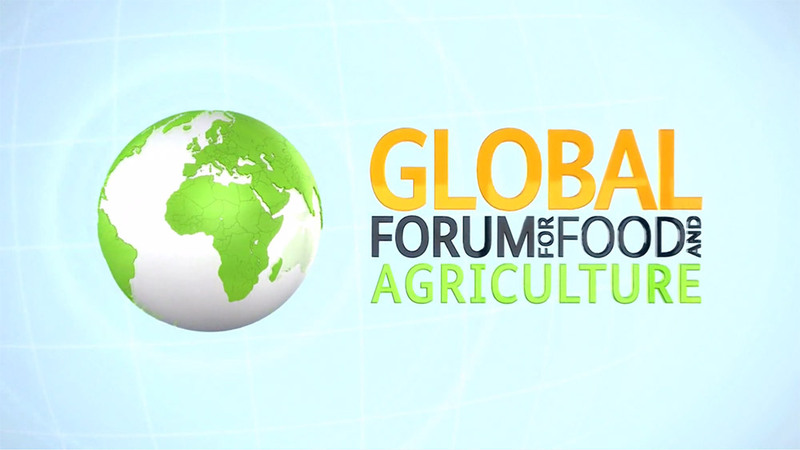 The growing demand for food, raw materials and energy: opportunities for agriculture, challenges for food security? Under the title “The growing demand for food, raw materials and energy: opportunities for agriculture, challenges for food security?”, the forum discussed from 15 till 17 January 2015 topics, such as the ever greater demand for resources and the changes in the roles played by producers and processers in the food industry, formulated new challenges and identified future prospects. Agriculture ministers from 62 states adopt measures to take advantage of the potential of the bioeconomy for agriculture and to safeguard the primacy of food security. A panel composed of high-level representatives from politics, industry, research and civil society, and moderated by Dunja Hayali, discussed in detail the opportunities and challenges arising from the bioeconomy. In doing so, the panel took up and developed the outcomes of the preceding expert meetings.